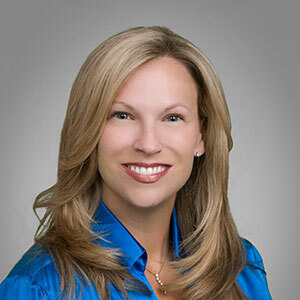 Caren Ulrich Stacy has more than 20 years of experience in recruitment, development, and diversity with law firms across the country, including Arnold & Porter, Weil Gotshal, McGuireWoods, and Cooley. Culture Analysis – Facilitating the first empirical study with law firms, legal departments, and financial services firms to better understand the organizations’ overall cultures as well as the micro-cultures that exist in each practice group/division. Women in Law Hackathon – Launching the first hackathon — a Shark Tank style pitch competition — aimed at generating innovative ideas that retain and advance women in law firms in collaboration with Stanford Law School and Bloomberg Law. The Judicial Diversity Initiative – Providing diverse lawyers with details on how to apply for state judgeships and a listing of current openings across the U.S.
TopLawyerCoaches.com – Highlighting top career coaches who are helping to advance the careers of diverse lawyers. Prior to launching the Lab, Caren was the head of legal talent for top law firms for 20 years. She also pioneered a data-driven “Moneyball” approach to legal talent management through Lawyer Metrics, a start-up company she co-founded and led as President. Lawyer Metrics was bought by the Access Group. *Caren and Steve Gluckman won the 2015 Catalyst #DisruptTheDefault Award for their www.TakeALittleAction.com video and website. Caren serves on the Board of Advisors for DirectWomen, a national non-profit organization that is increasing the representation of women lawyers on corporate boards. Caren also serves as the Vice President of Partnerships and Policy for the United States National Committee for UN Women, San Francisco. She is the founder and editor of the TalentThinkTank.com, a collaborative blog with more than 25 talent management experts. Over the past two decades, she has contributed to over 250 presentations and publications on legal talent management and authored several highly regarded books, including Loyalty by Design: A Practical Guide for Developing an Effective Attorney Integration Program.